Please take a few moments to complete this anonymous satisfaction survey. Your answers will be completely confidential and you need not reveal who you are. Your responses will be used to understand our clients better and to improve our session services and products. How did you hear about Lillian Ashe Photography? What is the MOST important thing to you when choosing a Photographer? What made you decide to choose Lillian Ashe Photography for your portrait/event? Overall, how satisfied were you with the photography session and quality of the photography? 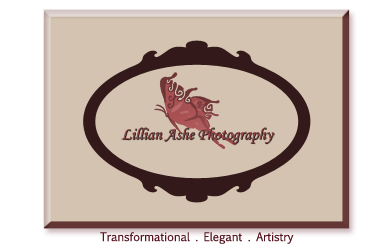 Would you be willing to recommend Lillian Ashe Photography to your friends and family? How did you feel about your ordering session? (Did you feel pressured to buy? Did you enjoy the experience? Please share your thoughts). Do you feel the price is a correct representation of the quality of work and the final end product? What aspect of Lillian Ashe Photography were you most satisfied by? What aspect were you most disappointed by? Other (Please explain in comment section below). If you have any other comments, or would like to leave a testimonial, please enter it here. If you were not fully satisfied with your experience, I'd love to do what I can to make it right! Please leave me your email address so that I can contact you and correct the situation.